Toyota is set to unveil a new super mini hybrid concept, the FT-Bh, at the 2012 Geneva Motor Show on March 6th. According to Toyota, the new hybrid concept has about the same interior room as the Toyota Yaris, but is smaller and lighter than the Toyota Aygo, the smallest Toyota sold in Europe. 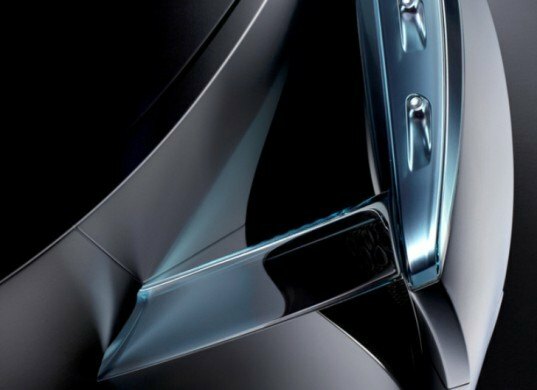 Toyota has released two teaser photos of the Toyota FT-Bh, which stands for Future Toyota B-segment hybrid. The two photos give a sneak peek at the concept’s headlights and rear end. Toyota’s engineers focused on five key themes to maximize the concept’s fuel efficiency and reduce emissions: low weight, aerodynamic performance, powertrain efficiency, thermal energy management and electricity saving. Thanks to advanced construction, which does not involve the use of exotic materials or expensive production techniques, the FT-Bh weighs less than 1,800 pounds and is more aerodynamic than the Toyota Yaris. Toyota claims that it will produce 50 percent less CO2 emissions than the average five-door super mini.